When and how was Alexandrite discovered? Alexandrite was first discovered in April, 1834 in an emerald mine in the Ural mountains. It was named after Tsar Alexander I, who was ruler of Russia at the time. What is the colour of Alexandrite? 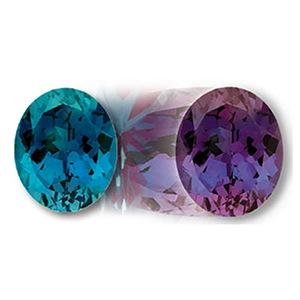 Alexandrite gemstones are extremely rare and desirable as they change colour based on the lighting (wow!). Alexandrite has exotic green shades in daylight but a true one will change to a reddish purple colour when held under incandescent light… almost like a real-life mood ring! Chromium within the gemstone gives alexandrite its colour. 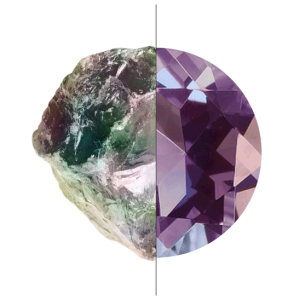 While in most minerals a trace element like chromium would provide only one colour to the mineral, in alexandrite it gives it two! Alexandrite is mostly sourced from Russia, Sri Lanka and Brazil. 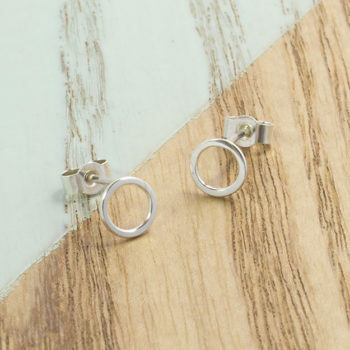 Not quite Alexandrite, but still cute right? 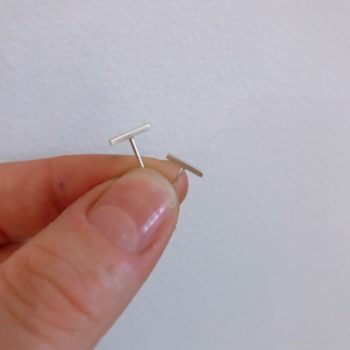 What is the hardness of Alexandrite? 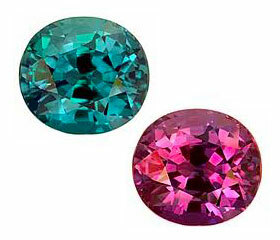 Alexandrite is a type of chrysoberyl. It is composed of beryllium, oxygen and aluminium and is one of the hardest gemstones after diamond, sapphire and ruby. Alexandrite is 8.5 on the Mohs scale. 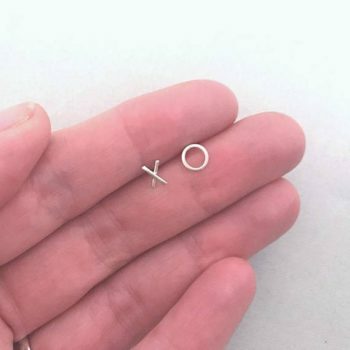 What are the different types of cut of Alexandrite? Alexandrite is valued based on the extent of colour change, cut and clarity. A finely cut Alexandrite can be as expensive as a high-quality diamond.